﻿ Meeting with the People's Artist of Uzbekistan Yodgor Sadiev. Meeting with the People's Artist of Uzbekistan Yodgor Sadiev. 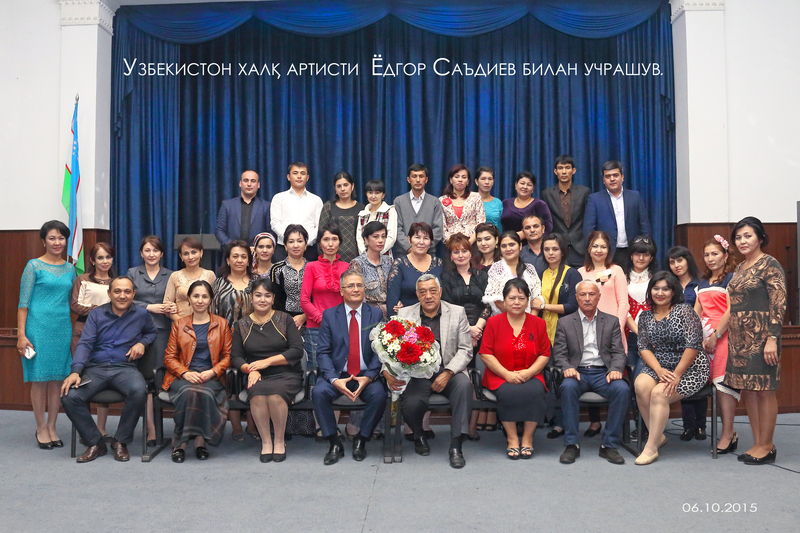 On October 6, 2015 a meeting with the People's Artist of Uzbekistan Yodgor Sadiev was organized at the main hall of the UWED. The meeting was attended by the course attendees of the Institute of Management under the UWED and students of the University. The guest answered the questions from the audience, and at the end of the meeting Y.Sadiev sang his favorites songs.